The Biker Istanbul, Sirkeci / Fatih, Istanbul. Information, Photos and Reviews. ‘Merhaba‘ and Welcome to The Biker Istanbul! 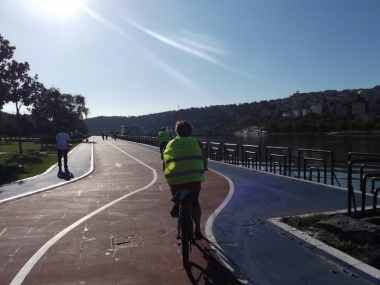 We offer guided bike tours in Istanbul and Turkey with over 30 most spectacular cycling routes , bicycles for rent as well as active tourism in Istanbul. The Biker Istanbul is also the first electric bike rental service in Historical Peninsula of Istanbul. Our guided bike tours offer you the best possibility to enjoy the most beautiful places and attractions in Istanbul, such as The Bosphorus, Golden Horn, Historical Peninsula, The Istanbul Forest, Camlıca Hill and Princes’ Islands. 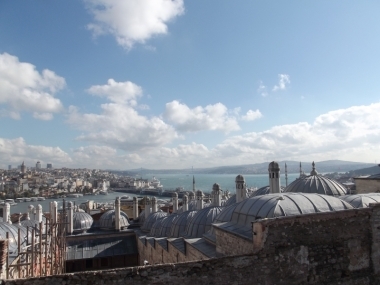 You can choose from a variety of tours to experience the most beautiful places in Istanbul and Turkey. Half day or full day, long or short, daily or multiple days, guided or self-guided, classic bike or ebike, you will always find the tour that fits you best! EXPERIENCE ISTANBUL BY BIKE! Every day&night Istanbul Bike Tours! No Sweat! Rent an e-bike! Renting an e-bike is a fun and affordable way to see Istanbul on your own. Unless you are an experienced rider, you will find the hills of Istanbul quite challenging. Places like Hill of Pierre Loti or Camlica Hills are incredible, with splendid views, but they are located on top of the hills and not close to the center! The e-bikes will let you reach these places easily without breaking a sweat. We offer one of most fun and exciting ways to experience Istanbul. 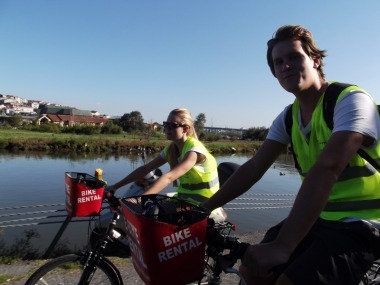 Enjoy the scenery with a The Biker Istanbul bike rental as you pedal along comfortably at your own pace. You can stop along the way to explore the many places as Basilica Cistern, Sultanahmet Square, Hagia Sophia Museum, Blue Mosque, Topkapi Palace, Theodosian City Walls, Grand Bazaar, Spice Bazaar, Suleymaniye Mosque, Galata Bridge, Galata Tower, Tophane, Istanbul Modern, Dolmabahce Palace, Ortakoy, Fener&Balat District, Eyup Sultan Mosque, Kahire Museum, Hill of Pierre Loti, Miniaturk, Camlıca Hills, Princess Islands and many others. You don’t need to be an expert rider for experience Istanbul. For example; Buyuk Camlica Hill rises up from Anatolian Istanbul in all its brilliance, offering a unique perspective on the city. Located about 6 km from Uskudar on Asia side. The highest point of the hill in Istanbul at 267 m above sea level. It’s truly amazing, with a panoramic vista of all of Istanbul’s main waterways, the Bosphorus Bridge, the historic Eminonu Peninsula, the Princes’ Islands. Only you need to do that reach to the Buyuk Camlica Hill from our bike store, take the Ferry from Eminonu to Uskudar and ride 6 km. up hill to Buyuk Camlica with your e-bike. That’s it! Under the Istanbul summer sun, it’s quite easy to run out of physical energy during the day. You want to visit the city, see everything you can see, but at night time you might feel too tired to go try that restaurant you read about. This is not the case with the e-bike! Enjoy the breeze on your face and all the energy you saved for all your activities. We all agree that it’s necessary to reduce our carbon footprints in our lives and feel better with the environment. The e-bike is a good opportunity to do that while on holiday. When planning your trip, consider choosing an electric bike instead of motorized private transportation.You will discover much more and will actively contribute to a better, sustainable life style. Nobody has reviewed The Biker Istanbul yet, Be the first. You are submitting a booking enquiry. The Biker Istanbul will then contact you by email with details of availability and prices.